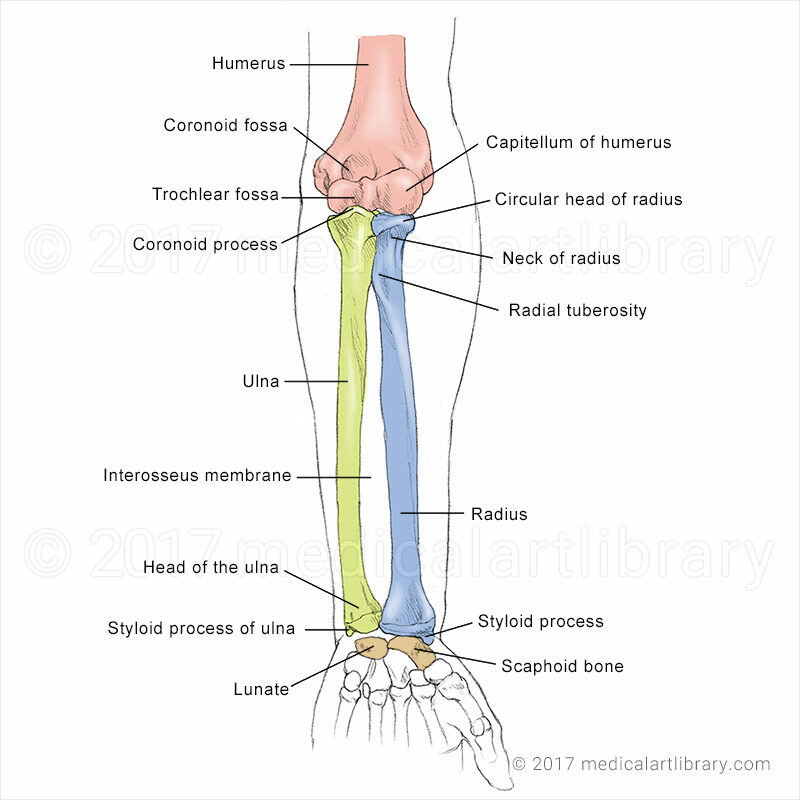 The distal end of the humerus consists of a cartilage covered condyle divided into two parts. The rounded capitulum articulates with the head of the radius. 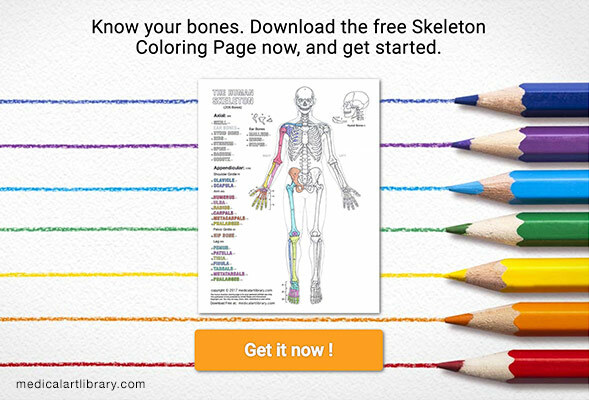 The trochlea articulates with the trochlear notch of the ulna. The supinator muscle partly inserts on the neck of the radius. 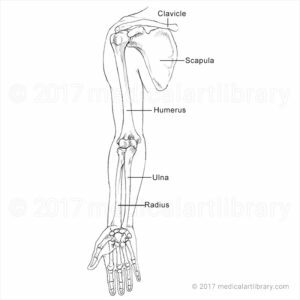 The biceps brachii muscle inserts on the radial tuberosity. 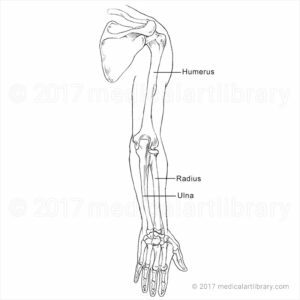 The distal end of the radius articulates with the scaphoid and lunate bones of the wrist. 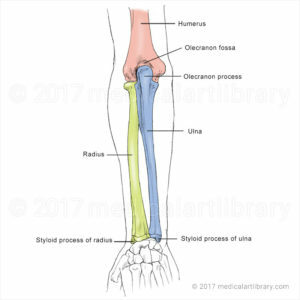 The head of the ulna articulates with the ulnar notch of the radius and is separated from the wrist by an articular disc.